A survey shows that about two out of three citizens of five Southeast Asian nations have watched South Korean broadcast contents with a particular preference of Korean dramas. 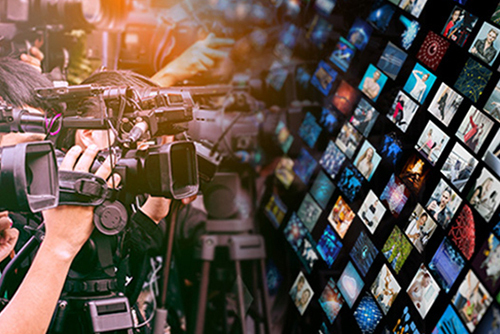 The Korea Communications Commission and the Korea Information Society Development Institute surveyed two thousand people residing in the major cities of Malaysia, Vietnam, Singapore, Indonesia and Thailand last month regarding their media use. The results unveiled Thursday show an average 62 percent of respondents have viewed a South Korean broadcast program at least once. The percentage was the highest in Malaysia at over 76 percent, followed by 65 percent in Singapore, nearly 59 in Indonesia, 57 in Thailand and 53 percent in Vietnam. The smartphone was the number one medium used to watch Korean contents at 63-point-nine percent. YouTube trailed at 29 percent and Netflix at 16-and-a-half percent. The most popular genre turned out to be dramas. Nearly 70 percent of those surveyed in Singapore had watched a Korean drama series. The percentage was 63-point-seven in Malaysia and 62-point-six percent in Indonesia.